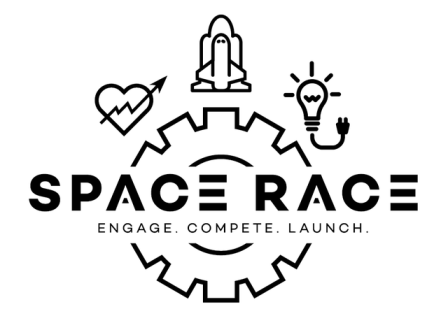 Fifteen (15) winners and finalists of the SPACE RACE startup challenge were announced by the Center for Advancing Innovation (CAI). The SPACE RACE is a first-of-its-kind global initiative, which was formed in partnership with NASA to encourage the use of federally funded technologies by startup companies. Startups launched from the SPACE RACE will move on to Phase 3 of the challenge, where they will be tasked with incorporation and licensing NASA technologies. Startups will receive continued guidance from CAI and available support from NASA technical personnel. The SPACE RACE, orchestrated by CAI and sponsored by the Medical Center of the Americas Foundation, features eleven risk-mitigated inventions, conceived and developed by seven NASA field centers. NASA collaborated with CAI, a 501(c)3 non-profit, to run a multi-phase business plan competition to launch startups and to encourage the adoption of NASA technologies. Leveraging NASA’s portfolio of technologies, CAI identified technologies within the industries of robotics, aeronautics, and energy that have near-term commercialization potential. The SPACE RACE crowdsourced driven industry and university entrepreneurs to create business models around these inventions and explore their market potential. All teams accepted were placed under a rigorous accelerator training and mentorship program for the duration of the challenge. The SPACE RACE was overseen by Daniel Lockney, Technology Transfer Program Executive at NASA, and by Rosemarie Truman, Founder of CAI. "The SPACE RACE Startup Challenge has provided NASA with the unique opportunity to engage with bright minds and entrepreneurs from around the country and assist them in forming new companies to commercialize NASA technology. We’re very excited to continue our relationships with these high-energy startups and help guide them through the finish line of successful commercialization," said David Makufka, Manager, Technology Transfer & Partnerships at NASA Kennedy Space Center. The winning entrepreneurs were selected based on 10-page business plans, financial models, and 20-minute “live pitches” to a panel of expert judges. Each winning team in the competition will be awarded a $2500 cash prize and will be guided through incorporation and NASA licensing with support from CAI. Winning teams will also move on to the third and final phase of the challenge, in which they will compete for up to $1.2 million in seed funding for their new companies.